AVG Antivirus scans your incoming and outgoing emails by default and includes a signature at the end of each email it has scanned. Removing the signature is easy to do and here’s how you can do it. 3. Select Configure and uncheck the “certify” checkbox under the “check outgoing mail” option if you don’t want to have avg antivirus email signatures on your outgoing emails. 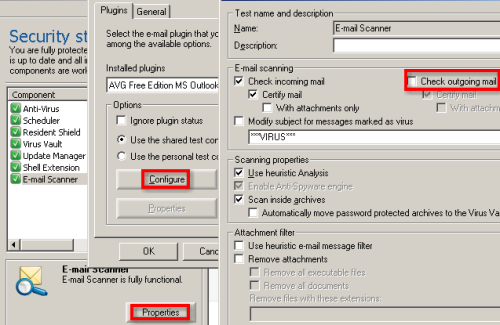 Similarly, uncheck the “certify” checkbox under “check incoming mail” menu if you don’t want to have your incoming emails certified with a scanned by AVG antivirus email signature seal.